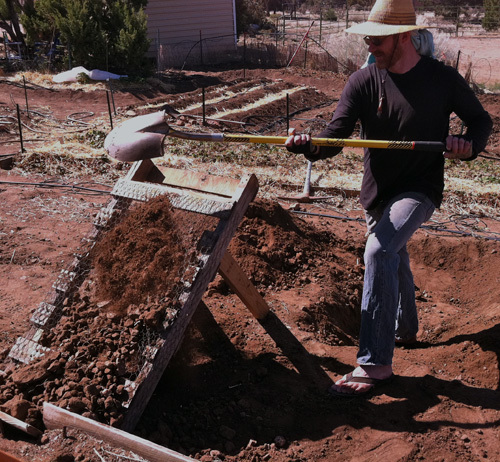 My friend Adam made a sifter to sift out rocks from soil when creating new garden beds. It is a simple contraption made with stuff I had lying around. He found a pallet and cut it in half. Then he screwed 2 layers of chicken wire onto the pallet. He used two 2×4 as portable legs to lean it up on an angle. 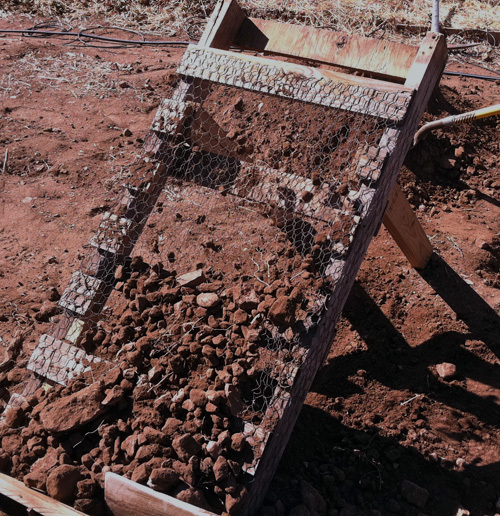 Then you just put a shovelful of your rocky soil on it and the dirt falls through while the rocks roll off. The soil is light and fluffy and ready to add compost or horse manure to it. When I later looked up how much one is you can buy online, they were $250! Here is Caleb using it on a new garden bed.